Missing tooth can cause more dangers to oral health than barely affecting speech and bite. The most obvious problem of losing teeth is that it reduces the confidence to eat hard food items. Over a long run, their other problems may develop. The most common problems that can be linked to missing teeth are related to orthodontics and bone resorption. Among the many replacements for lost teeth, dental implants are most successful because of their design and functionality. Dental implants finely integrate with the jawbone and provide high stability to the implanted tooth. Successful completion of surgery means a tooth restoration that is ready to stay for the next few decades. At our San Bernardino office, we have a team of experienced dental professionals taking care of the oral health of our valuable patients. We have restored lost teeth in many of our patients using our dental implants. Our patients continue to rely on us for their dental care. Teeth loss can occur because of dental infection, an accident or from aging. The loss of teeth means that jawbone loses stimulation which is actually provided through roots of natural teeth. The bone loses purpose and starts to shrink. Bone resorption causes the facial muscles to sag, making the patient look older than his/her actual age. When a tooth is lost, there is a gap in the dentition. There is an imbalance in the teeth arrangement which causes the teeth nearby to the gap to move. There is a change in the bite that leads to more serious problems with oral health. There are higher chances of gum infection around the gap caused by tooth loss. This is because of increased food lodgment in the area. When several teeth are missing, the person may lose confidence to eat hard food items. This has a direct impact on nutritional intake. The speech may also get an effect from teeth loss. Do you want to replace your lost tooth with a dental implant? 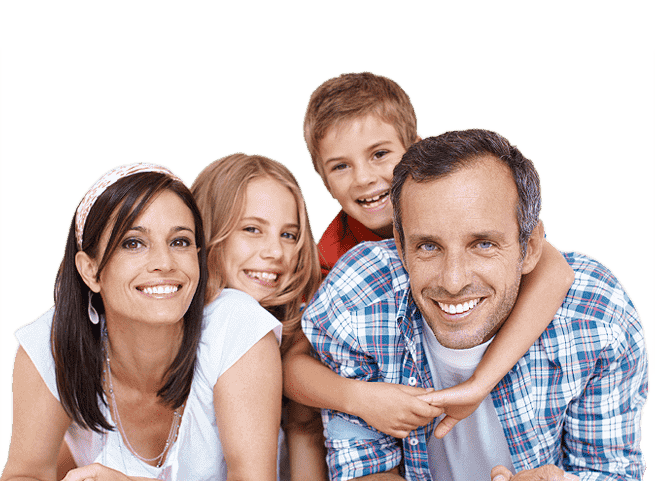 Our dentist in San Bernardino can do it for you. The surgery is a two-step process. All you need is a healthy jawbone which can support the metal post. Your initial consultation with our dentist will involve an oral examination. Our dentist checks if you have sufficient jawbone volume to hold the implant. The implant position is planned at this stage. The surgical process of implant placement requires local anesthesia. A small incision in the soft gum tissues allows our dentist to access jawbone. A bony recess is created and the implant is torqued in place. The gums are sutured with a small portion of implant exposed. The surgical site is left to heal for few months. The implant finally bonds with bone tissues. This process is called Osseointegration. The dentist takes impressions of teeth during the next visit and gets a dental crown fabricated in the lab. 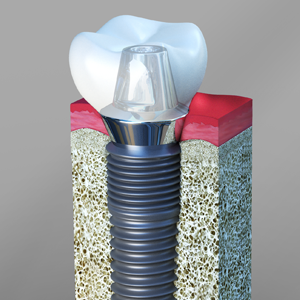 An abutment is fixed over the implant and the crown is cemented or screwed to it. With proper oral care, the implant can last for decades without a need for repair.